Bricking It- Home Repairs You Mustn’t Leave To Chance! It’s estimated that buying the average American home will now set you back, on average, around $200,000 but those costs can quickly spiral if you don’t carry out regular home maintenance checks. We’re not saying that you need to be an electrician, surveyor or plumber but there are a few things you should know to keep your property in tip-top condition. While some DIY jobs like painting fences, clearing gutters and laying insulation can be done yourself, providing you know what you’re doing, there are a variety of big jobs that need to be left to the professionals. Except when it comes to finally owning your own home, the pride you feel is also always accompanied by a vague sense of dread. What if the ceiling collapses? The pipes burst? Are there drainage issues? You begin to second guess yourself, seeing mold spores where there aren’t any and mistaking dark patches for telltale signs of damp before breathing a huge sigh of relief. It’s suggested that some tasks are taken care of throughout the year, including painting and decorating to give yourselves the best chance of avoiding any costly bills. We’ve selected a few of the most expensive headache inducing problems so you’ll know what to look out for and crucially what DIY methods to use to avoid breaking the bank. At the same time as you’re painting kids bedrooms, ordering new furniture and sketching out garden designs a silent intruder may have slipped into your home. Water damage is nothing to be sniffed at, and while the idea of a few drops seems harmless, even the slightest trickle of water within walls or below floorboards can lead to massive bills. Most modern houses are already built with a damp course pre installed, that sits on the foundations, but obviously, if your property is pre-war this won’t always be the case. Water can get in through even the smallest of cracks, seeping into basements and turning air damp before sprouting mildew and mold that’s tough to get rid of. Eventually, substantial water damage can weaken foundations causing cracks to appear in supporting beams and outside walls as well. Once a property’s foundation is weakened repair costs start at $10,000 and climb as high as $50,000! One way to avoid having to turn to a personal loans company is to know your property inside out. Check your property title deeds to see if a damp course or foundation protector was installed at any point. It’s also vital that you keep any form of water away from the property, making sure no wet, or damp laundry is allowed to dry indoors or, if you do so, run a dehumidifier at the same time. Don’t forget to keep a very close eye on any suspicious puddles you find in your home. Houses are usually constructed so that water runs away, not towards the house, so if you see standing water outside the best thing you can do is to apply heaped soil to create a slope of your own. Whatever you do don’t forget to keep your gutters and pipes clean of fallen leaves, moss and general debris. Over time an overflowing drain allows rainwater to find its way down the walls or through the roof tiles. If you live in an area where there’s lots of wet weather it may be worth purchasing spout extensions, these direct gutter water well away from the house, up to around five to ten feet away from your property, so the risk of water damage is greatly reduced. You might not think your home heating, or air conditioning unit would cause you much bother. However HVACs are a sophisticated heating and cooling system, experts are needed for installation, and there are a variety of components that rely on each other to work. If your HVAC system breaks, you’ll not only be feeling pretty chilly depending on the time of year, but you’ll also understand why people nicknamed HVAC, Here’s My Visa And Cash! It’s imperative that you not only know how the system works but that you clean anything an owner should regularly. The last thing you want is for the furnace to pack up or the coolant fans to jam right before the start of summer. While components themselves less aren’t too expensive, a furnace can set you back around $2,000, you’ll lack both the training and health and safety know how to install it properly, and fitters don’t come cheap! Homeowners have reported shelling out around $6,000 per replacement furnace repair and installation so do try to look after your system as much as possible! It may seem annoying, inconvenient and downright expensive to have to wait in for the HVAC repairman every so often but a six month check-up can help spot problems early. Typically, most maintenance specialists run through a company approved list that includes lubricating parts, checking connections, running the heating and air con, clearing out system drains and cleaning dirty coils or vents. Don’t think you’re saving money by avoiding maintenance checks as you’ll just be storing up problems for later. Another tip to keep everything shipshape is to replace the air filter every ninety days, or so, it’ll help keep everything from getting clogged as well as giving you better air pressure. If anyone in your family has allergy issues, or you keep pets that shed lots of fur you may wish to replace it more often. While the idea of a blocked toilet, flooded sink, or dirty carpet is kind of funny in a movie, when it comes to clearing sewerage from your back garden in real life it’s anything but! Not only is the smell appalling, but broken, exposed or leaking sewer pipes are never a good thing. While the pipe itself, depending on your supplier, is relatively cheap to replace, cleaning up the mess and muck is often more complicated and will require specialist drainage equipment. If you live in an urban area normally sewers are owned by the water company but what happens when there’s a more rural issue? Lots of homes primarily converted ranches, and sprawling colonial plantation houses are usually off the beaten track. This means they often possess their own utility supply, be it water, gas or electricity. 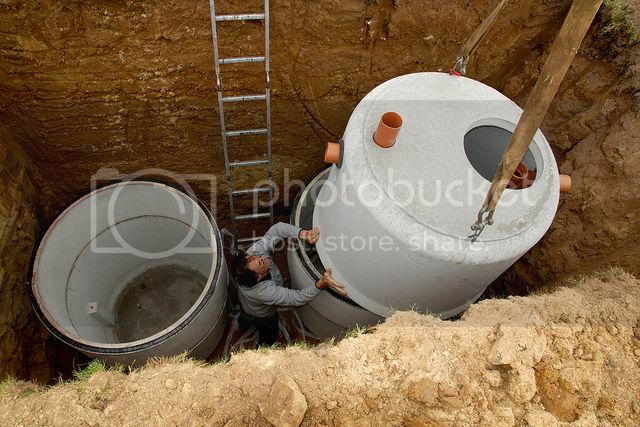 The chances are if you live out of the ‘burbs’ you may own at least one, if not more septic tanks. These huge tanks are designed to process waste much the same as a standard treatment plant does, while liquid is pumped into a special drain field. When a septic system breaks down the results can be catastrophic! Even flushing the wrong type of bleach down the toilet can lead to huge problems. You must, without fail, have the tank inspected by a professional annually and in the meantime keep an eye out for septic trouble, including bad smells because working tanks are fragrance-free, any standing water or wet soil around the reservoir itself, or bright green grass above where the tank has been installed as all these could all be signs of a blockage or a leak in the system. Bear in mind costs for replacement parts start at around $3,000 while a whole new tank, plus installation fees can easily set you back a whopping $20,000 or more which we’d all agree is a massive chunk of your hard earned savings. Be aware, there are also certain laws pertaining to owning a septic tank, so if you break them you could be fined by the Environmental Protection Agency. You got me when you said that it is a scary thing for homeowners to get broken, exposed, or leaking sewer pipes. In my opinion, one should call a residential septic service immediately when this happens. Doing this will help extend its lifespan and prevent lowering the home’s air quality. What are the major home repairs? Is painting considered a home improvement? 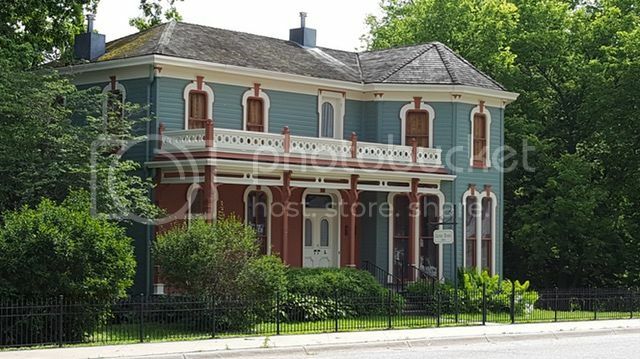 I just bought my first home, and I really want to keep it in good shape. It is good to know that I need to keep my filters clean if I want my furnace to operate properly. That is great to know because it gets super cold where I live in the winter. It might also be smart for me to get an expert to check my furnace for any issues before I turn it on.